Standard Diploma Course: Final Requirements. The time-frame for the Advanced Diploma Course is dependent upon the nature of the research and research design, but should generally reflect a year of study. Table 1 describes the course duration and requirements for the Standard Diploma Course. 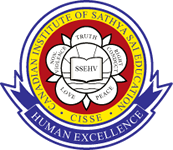 Required for all CISSE trainers and teachers of Sathya Sai Schools. Professional teachers may begin participation in SSEHV projects in partnership schools after completion of Course One but should complete Course Two. Non-professional teachers will complete both Courses One and Two before participating in SSEHV partnership school projects. Course meets the full training requirements of non-professional teachers who wish to participate in SSEHV Partnership School projects. Application of the direct and indirect models in schools, community projects, workplace, etc. The role of values in education: Introducing the concept of values; How values contribute to the development of self, relationships, the society, and environment.